There may have been a lot of buzz over V12 powered supercars and the next best thing to break 200mph on an average road, but BMW has gone a different route. 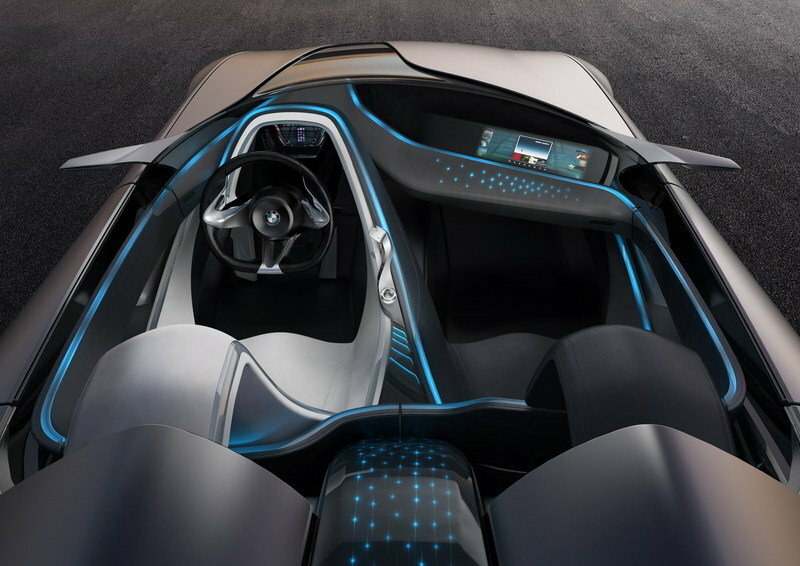 The BMW Vision ConnectedDrive has made its debut at the Geneva Motor Show and is showcasing all of the technology BMW has been developing and will be integrating into future cars. Just by looking at this concept it is easy to tell that it will never make it to production in this form, but many of the technologies and ideas found within could be coming out sooner than you think. Official BMW representatives said: "In 2011 the automobile industry is celebrating the anniversary "125 yeas of the automobile," reason enough to not only look back, but also to look forward. Connectivity is one of the key fields of tomorrow’s world. And of course, we at BMW are proud to be among the pioneers of connected driving: for example, with the first on-board internet access in 2008, the first iPod integration in 2004, or the first ultrasound-based park distance control PDC in 1991." "2011 is also the year in which we are setting course for the future. Initial insights are already available to you now in the Future Lab from BMW Vision ConnectedDrive. Or soon right here, with an extraordinary vehicle concept, which will once again revolutionize driving in terms of comfort, infotainment and safety. Exactly as you have come to expect from BMW." BMW’s leadership and constant technology contest with Mercedes-Benz has led them to develop some of the best and most intuitive systems in production cars today. 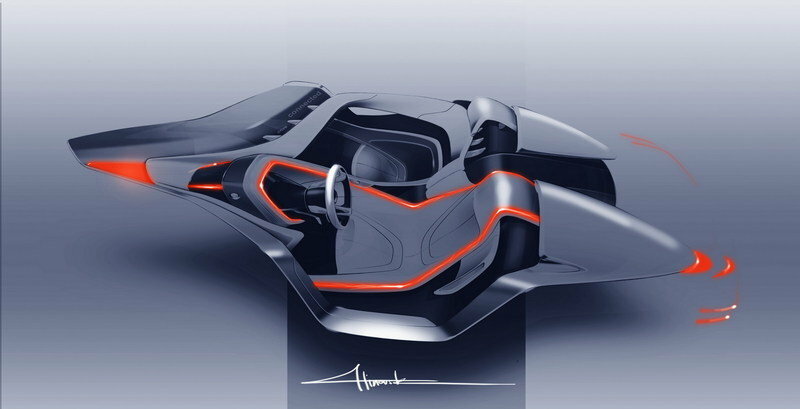 This concept shows how the future may render itself in the automotive realm. In a world where your car is as good or better than your office at getting things done – this is place where the ConnectDrive lives. UPDATE 03/06/2011: BMW has revealed a new video of the Vision ConnectedDrive concept explaining the story behind the vehicle...and what a story it is! Believe it or not, the concept takes its inspiration from the human body and its possibility to adapt to any situation. This is exactly what the concept does with its three major colors: red for safety, blue for entertainment, and green for convenience. The three colors combine to offer the driver the best info on the road at the best time. How exactly? See BMW’s explanation in the video! UPDATE 08/15/11: BMW has released another video featuring the Vision ConnectedDrive Concept. It’s a three-minute video that reveals plenty of the technological features of the concept car and wrapped around a story that involves 10 easy steps on how to ’steal jewelry’. We’re not sure about the whole message of the video, but it does make for a fascinating look at all the features that come as part of the futuristic Beamer. 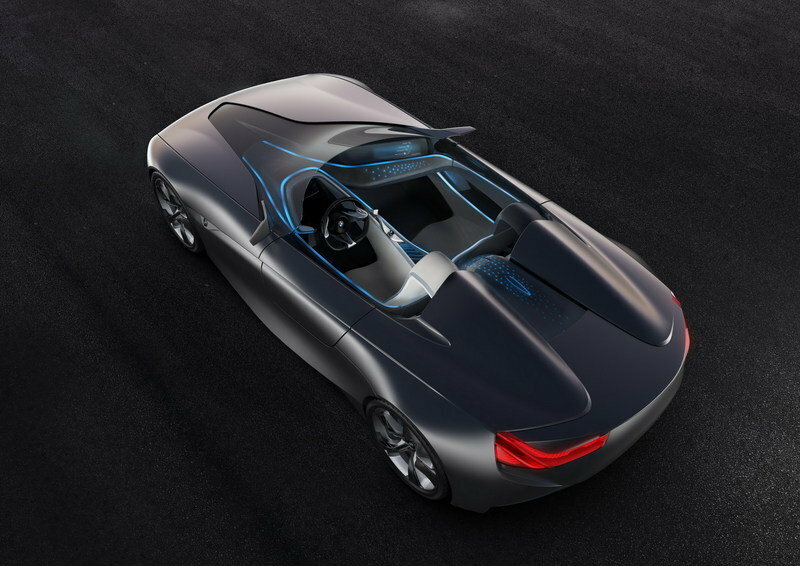 Hit the jump for more details on the BMW Vision ConnectedDrive Concept. The new Vision ConnectedDrive Concept takes the EfficientDynamics’ design language to a new level of awesomeness. 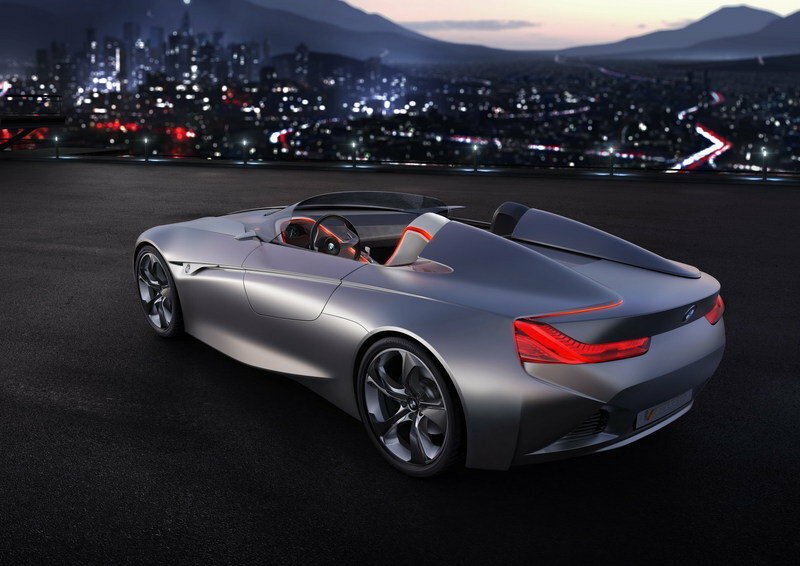 The concept is a two seater roadster that stares you straight in the face with its long bonnet stretching all the way to the windscreen. Lengthening the concept even more is a long wheelbase and a passenger compartment that sits well back. 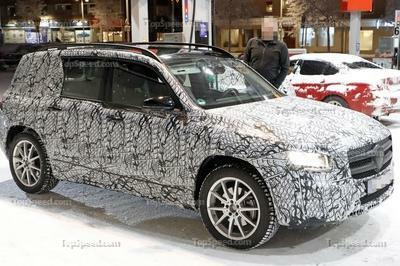 From this straight-on view, we can see the BMW kidney grilles, dual round headlights, and two large air vents. 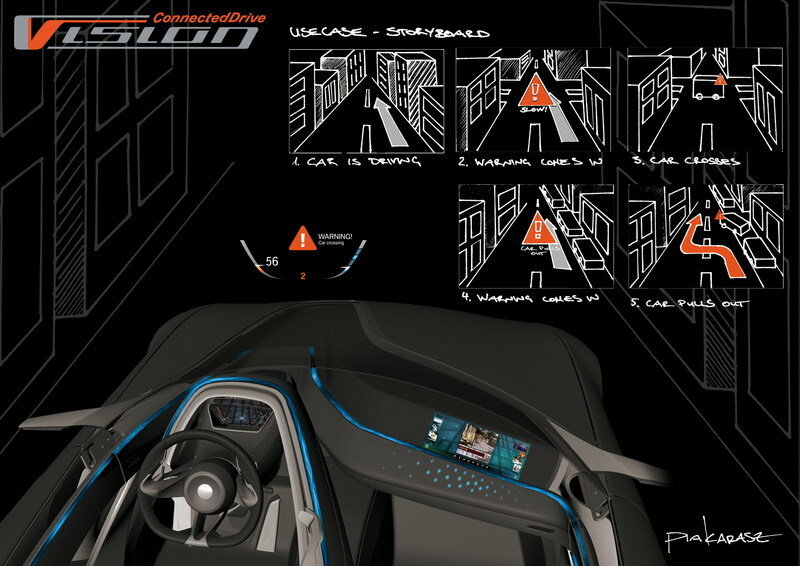 The ConnectedDrive brings over the electro- mechanical retracting doors as seen in the Z1 concept, which, as a reminder, are completely road legal when pulled back. That likens them to taking the doors off your Jeep CJ and cruising to the beach, but this is much better. Imagine being able to drive to the mall or the grocery store and park in the smallest space imaginable, open your door, and actually get out without hitting the car next to you. With doors that essentially disappear into the body, BMW has made this possible. Shifting our attention to the back of the car finds us looking at two new large air outlets, with new rear lights in an L-design and positioned on the outside edge of the rear. Inside of the lights are also the sensors for reverse warning and rearview cameras. BMW has decided to more cleanly integrate these systems and make the headlights and taillights truly act as eyes for the car. The concept sits on 20-inch wheels in three dimensional design. The vehicle is able to interact with the outside world as well. This doesn’t mean that the mothership is going to beam you up out of the atmosphere, but the car will be able to learn from its environment and adapt to fit your needs. For instance, as you pull up to a parking garage, the car will scan ahead, learn information from the garage’s system, and inform you as to where the closest parking spot is. This feature is not even that futuristic, BMW’s Parkinfo Function is already used in over 820 parking garages in Germany. The interior is where it gets even more interesting as BMW has gone to great lengths to ensure a certain amount of ambiance for the cabin and its passengers. The cabin is separated into two key sections - one for the driver and one for the passenger - by a long center console. These sections are meant to completely separate the two and provide focused attention on the road. More divisions are made with three levels of technology - comfort, Infotainment and safety - that are distinguished by fiber optics in various colors. These three sections integrate the appropriate functionality, operating panels, and displays of the vehicle. The three sections are not only discerned by color, but also by rhythm, motion, and texture. The first layer is for safety and shows itself in a red color which flows to the front of the vehicle to represent safety-specific information and the driver’s focus on the road ahead. 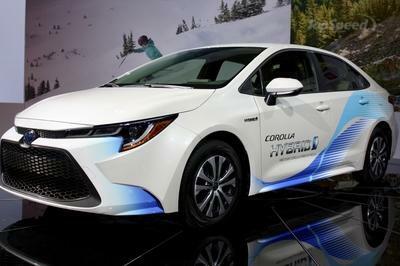 The second layer is for infotainment and displays itself in a "blue ribbon of light" stretching into the passenger side. This layer is said to promote active social exchange between the driver and passenger. The final layer is green and represents convenience. It is supposed to concentrate on the interaction of the vehicle with the world around it. The emphasis is on the outside of the vehicle, starting and ending with the two antennas, in place of wing mirrors, providing the data link to the surrounding environment. Basically, when a feature is activated, the corresponding light brightens up and literally shows the occupants of the vehicle that it is working. As information travels through the vehicle from left to right or front to back, that motion is also conveyed through the lights. Instead of utilizing a standard gauge cluster and dash board to display vital information, BMW has expanded its Head-Up Display capabilities. Placed on the windscreen so the driver can remain focused on the road will be all of the speed, navigation, and fuel consumption information. The biggest leap for this concept will be the use of all the sensors in the car to create an augmented reality on the display. 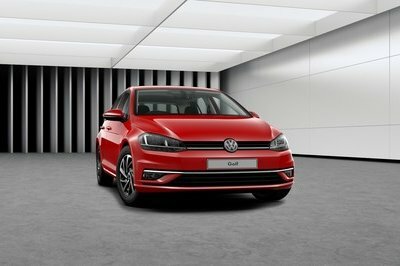 The car will be taking in all sorts of information from its surroundings and relaying it through the GPS and the Heads-Up display , which will then literally place this information over a display of your car and warn you about potential obstructions or road dangers visually and in real-time. Other cool techno-wizardry that is becoming available soon include the ability to connect your smartphone to the car’s computer. This is already possible, but the newest system takes things a step further, by synchronizing your calendar, learning about appointments, and potentially acting upon that knowledge. If you have a dinner appointment, but no reservation, the car will be able to learn this from your calendar and then make a call, set up a reservation, and input directions into the GPS. A piece of technology that credit-card companies have been developing is the (NFC) or Near-Field Communication system that will allow you to make purchases at places you pass by or are near from the inside of your car. BMW hasn’t revealed any technical specification for the new concept just yet, but it will most likely be a hybrid or an electric vehicle. 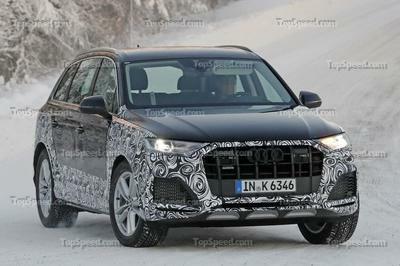 Official details will be revealed soon, but the engine and drivetrain are not the big stories here and it doesn’t really matter since you will never see one of these on the road. Rather, the Vision ConnecDrive is a study in how we interact with our cars and our surroundings, and the knowledge gained from it will translate into the future of BMW road cars. Will We Ever See This On The Road? Yeah, that would be a big fat NO. 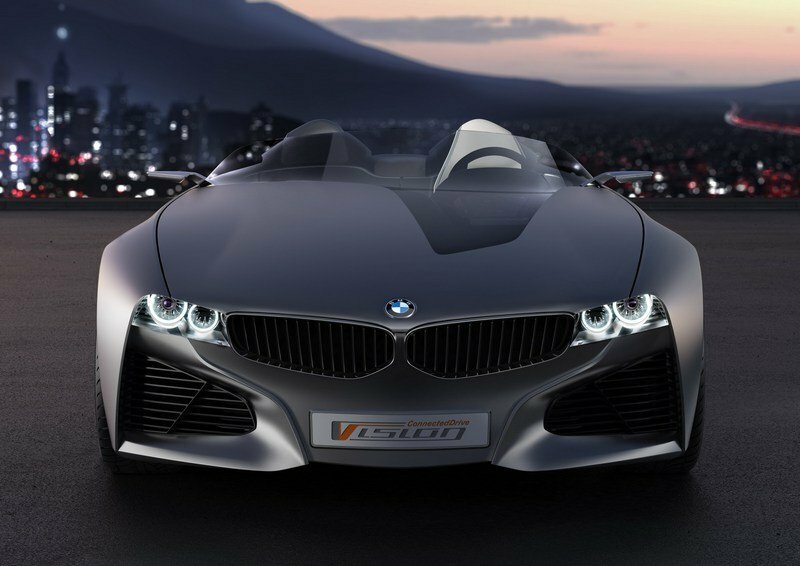 BMW has already announced that this concept will not be produced, but its design and technology will be the basis of future production models. Translated: The cars that do come out of this concept won’t be as cool as this one is, but watered down versions of what could have been. The concept is exactly dynamic and brilliant. Both exterior and interior are very high-tech as well as the engine performance. I’m impressed with the overall design and features of this car. Full of awesomeness. This design is largely possibly by adopting an advanced 3-D heads-up display, which can arrange information, including navigation directions into the foreground and background, depending on the importance. Vision ConnectedDrive is really looking so amazing on its futuristic detailing, but I bet BMW will never make it to production. It seems that they truly want us to be amazed on this concept. I just noticed that it had a futuristic touch, anyway, I have to agree that this concept is absolutely looks so amazing and very striking on its styling, but I only hope that they really put this one on the market. Another batman car and I must say that I am also so impressed with the looks of this one but I don’t think that they would really put this one on the market. What they did mean with ’ConnectedDrive’? I’m just kind of curious. Anyway, the exterior really so amazing and unique and I wonder if what design that they put on its side. It’s seemed a mini headlight? Does it? Rado guissepe is right, it is really ambitious and unbelievable and not so reliable! Just like them, I’m also impressed with the platform and styling of this one, very futuristic! Although, I’m quite impressed with the performance of this car I would say that its too ambitious and unbelievable during this time. However, I want to see some of the detail here in their future production. Well, human body that serves as the basis is such a unique sort of inspiration. I mean BMW has always a great resources. I can’t wait for its production. I hope that this vehicle would be the start of the future in mobility. hm.. The aesthetic of this car looks great though I didn’t know if the engine performance is fix or will change after the production. It seems that I been needing to watch out for this. Aesthetically, I don’t like the body of this car! However, the lights in the interior makes difference. I find it kind of cool but the wheel looks cheap. Well, this car reminds me of some of Audi’s platforms with massive technology used to counter a ’wrong’ plan. i love the design of BMW. I think its much better if they make it VCD concept their design should be sorted. One of the things that I really like about this concept is that it actually incorporates several practical ideas. This is in contrast to other concepts which tend to go more with the flash rather than the functionality. Well, this one has already been a pretty interesting concept from the start. But it would be much better to see how this concept would work if they put it in a real car. I don’t know yet if this one is actually worth a shot since it is still just a concept. But I do hope that BMW does implement many of the ideas here, just to see if they really work. Wow. This is a very futuristic looking concept. Gotta say I like this one. Yes, this one is probably one of the most interesting concepts that we have seen lately. I like the idea of providing a good space for the driver, which gives him a more comfortable position. Hopefully, they do get to production models. Probably one of the most interesting concepts that I have seen this year. This one has quite a lot of practical technologies installed. Too bad that it would be way too expensive if it ever gets into production. Rather, it shows a concept for an interface and networked capability that takes over the car. 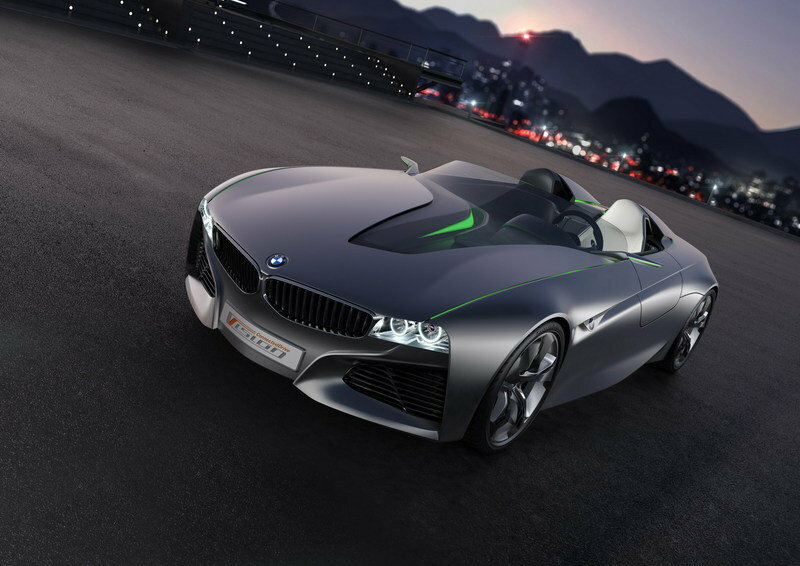 BMW calls this concept a "mobile component in a networked world. 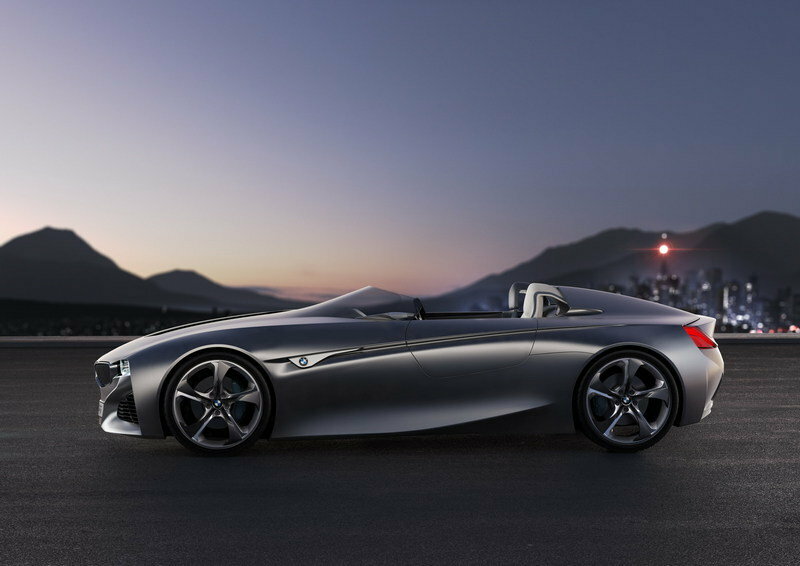 The new BMW concept has been designed to showcase new developments in the fields of drive systems and intelligent networking of the driver. 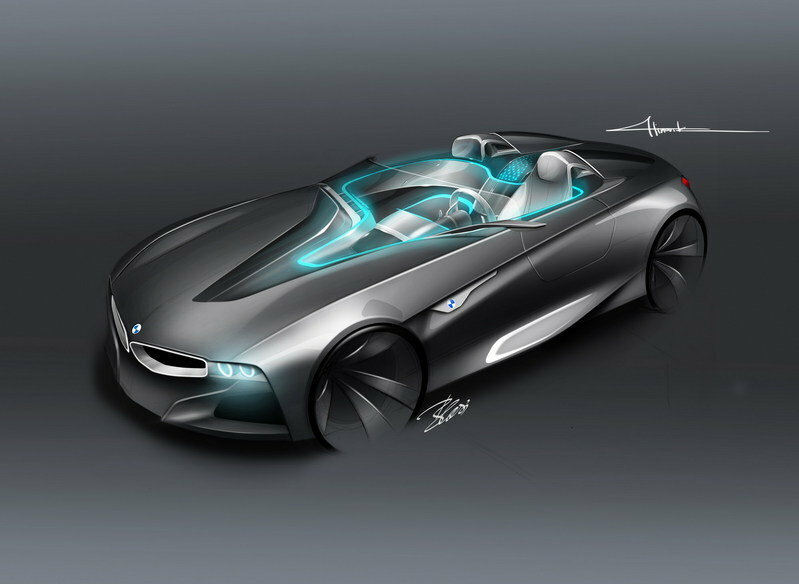 Dubbed the BMW Vision ConnectedDrive, the new concept vehicle demonstrates current and future methods of mobile networking. And for sure they hired a great artist to design this gorgeous concept.